This collection of essays by architect Mario Gooden investigates the construction of African American identity and representation through the medium of architecture. These five texts move between history, theory, and criticism to explore a discourse of critical spatial practice engaged in the constant reshaping of the African Diaspora. African American cultural institutions designed and constructed in recent years often rely on cultural stereotypes, metaphors, and clich's to communicate significance, demonstrating "Africanisms" through form and symbolism--but there is a far richer and more complex heritage to be explored. 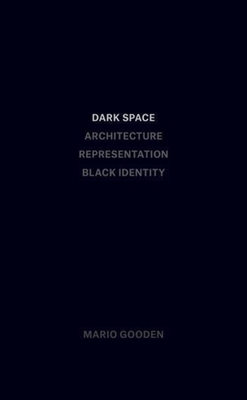 Presented here is a series of questions that interrogate and illuminate other narratives of "African American architecture," and reveal compelling ways of translating the philosophical idea of the African Diaspora's experience into space. Mario Gooden is a principal of Huff + Gooden Architects and a Professor of Practice at the Graduate School of Architecture, Planning and Preservation (GSAPP) of Columbia University where is also the co-Director of the Global Africa Lab (GAL). He is a 2012 National Endowment for the Arts Fellow and a MacDowell Colony Fellow.